Greetings, Dieselfunkateers! San Diego Comic-Con is under way, and the return of the Black Heroes Matter Flashmob is upon us once again. 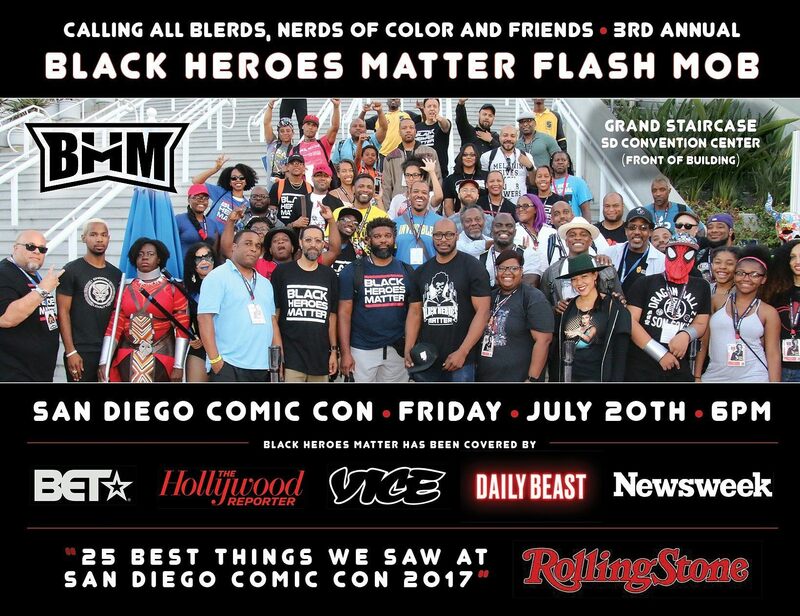 This gathering, which has taken place since 2016 at SDCC and NYCC, brings creators and fans of color together in the spirit of community. The Dispatch interviewed the flashmob masterminds David F. Walker (Writer of Shaft, Power Man and Iron Fist, and the upcoming Bitter Root) and Uraeus, (Creator of Jaycen Wise and founder of Black Heroes Matter). DD: You’ve done the BHM Flash Mob now for several years in a row. How was the concept generated? 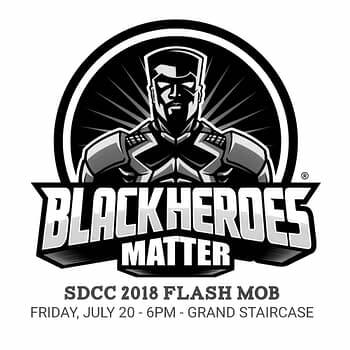 U: The flash mob originally began as a Black Lives Matter mob organized by David Walker, the same year I brought the Black Heroes Matter concept to San Diego Comic-Con two years ago. Its was a convergence of two powerful ideas that combusted on contact with each other, and the BLM flash mob immediately became the BHM flash mob from that moment forward. DW: It started from my end wanting to do a flashmob at SDCC in 2016. I always envisioned it as a one-off event. I recognized there were people of color who attended. There was nothing that allowed us to gather as a community. Black Lives Matter was started and this was our opportunity to be a community within that context. Uraeus was the one who showed up with the BHM t-shirts, at which point its merged into one. Which I think is beautiful. DD: What does the BHM Flash Mob mean to the community and to you both personally? 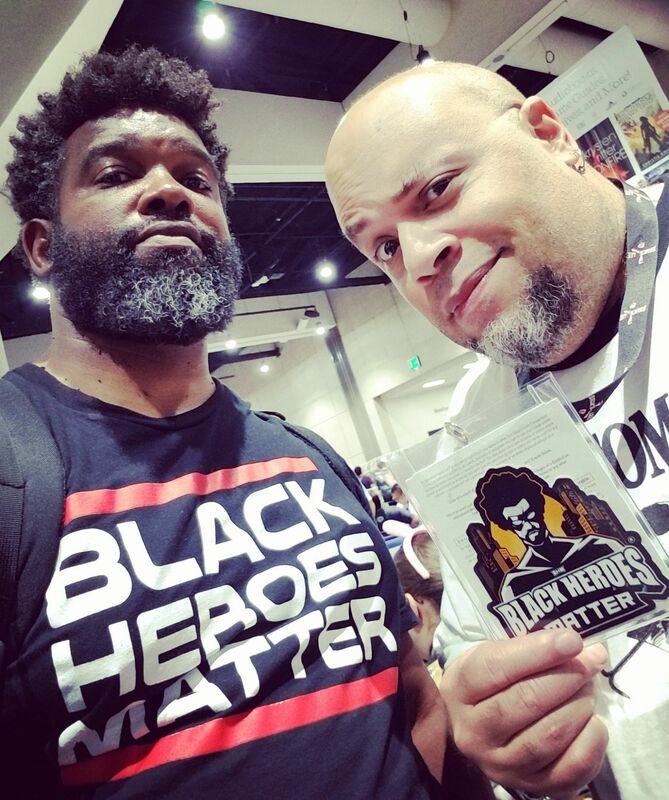 U: It’s an opportunity for the Blerd community (creators, performers, enthusiasts, and fans) to show our collective power on the grandest stage in the country… SDCC. We make a statement without saying a word by demonstrating our numbers each year, and showing the growth of the community from one year to the next. Plus it’s a fantastic networking event where relationships are formed and like minds gather to celebrate the things we love most. DW: I find it very exciting and hopeful that what started as a one time event has continued to grow and develop into a community. Which is more than I could have ever asked for. Where the Black Heroes Matter movement goes I don’t know. But if it continues to develop into something positive and inclusive, I will always support it. 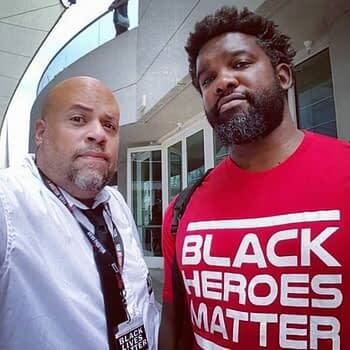 Check out the Black Heroes Matter Flash Mob Event here.